As we inch closer to the November 7th release date of the Xbox One X, several games have already received their update to take advantage of Microsoft’s latest juggernaut. Halo 5: Guardians is the latest to receive its Xbox One X focused update and it is appropriately named: Overtime. The Overtime update allows for 4K visuals and 60 FPS on the Xbox One X, but that isn’t the only thing added. Oddball returns as well for all users. Play Ball! 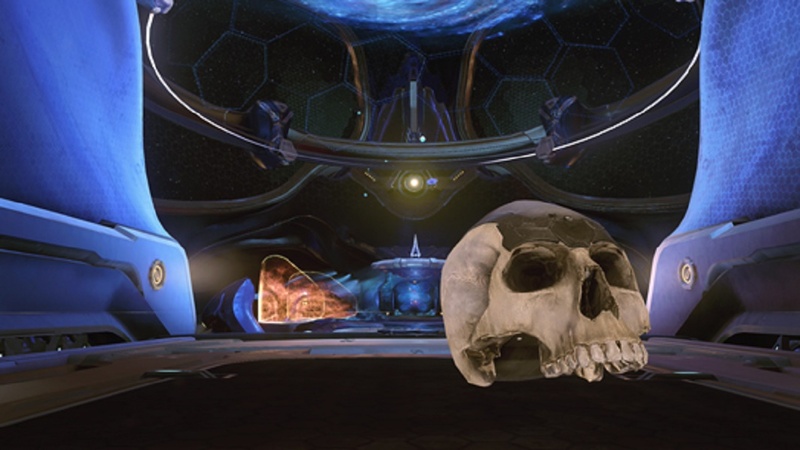 The Oddball you know and love is officially back in Halo 5 as a full-fledged game mode complete with new medals, announcer voice-overs, and best of all – the skull! New custom game options for Oddball modes are also available with settings such as “ball type,” “ball explosion damage,” “score per kill while carrying,” and “ball carrier melee damage modifier” to play the way you want. Players can now create matchmaking via local servers. Players can host a local server on Windows 10 PCs using a simple application to create low-latency Halo 5 matches. Using this tool, you can create a local server similar to those used for the Halo Championship Series and Halo World Championship esports events, providing an ideal proving ground for everything from professional and amateur competitive teams to friendly tournaments. Additionally, all players can use this app to host their own custom matches, including custom game types and community maps created using the in-game Forge mode. Finally, new skins have been released as well based on the Halo Championship Series. Several of these include skins for teams such as Luminosity, Str8 Rippin’, and Splyce. For more details on the Halo 5: Guardians Overtime update or to see a complete list of new skins and features, visit the official website.